Today's homes feature a large number of devices connected to the Internet—everything from kitchen appliances to thermostats to light bulbs. 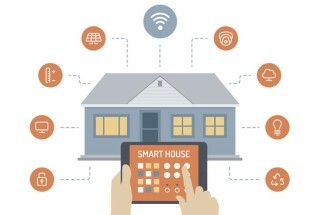 While there's convenience to being able to turn off forgotten lights or monitor who comes and goes, connected home devices can also create a security headache. Keep it to a minimum. Take an inventory of the digital entry points into your home and consider consolidating. Use a separate network. Keep the network for connected home gadgets separate from your home network used for your computer, phone and printer. Most home routers have a guest network option. By connecting your home gadgets to that, a compromised refrigerator won't be the gateway for someone to move on to your banking. Factor in multi-factor authentication. Don't rely on passwords alone to keep your devices safe. Check to see if your system offers two-factor authentication, which adds an extra security layer to the log-in process, such as a security key or a one-time code received by text. Even if a hacker is able to steal your password, it's much less likely that your phone can also be hacked. Update regularly. Just as you would update your computer or tablet, do the same for home devices. Vulnerabilities are found all the time, and regular updates provide the necessary protection against them. It’s Fair Season in Maine!